Providing High Quality Painting Services in Beaverton, Portland and Surrounding area. Exterior Painting Contractor in Beaverton, OR – Top Quality Exterior Painting Services - Customer Satisfaction! Interior Painting Contractor in Beaverton, OR – Top Quality Interior Painting Services - Fully Custom Estimates! Trim, Power Wash, Deck Restore is only a portion of what we offer! Give Your Home a Beautiful New Look! 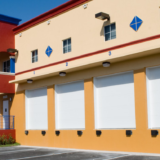 Commercial Painting Contractor in Beaverton, OR – Dependable & Affordable Painting Services! Exterior and Interior House Painting Experts! Delivering Quality Painting Services in the Portland, OR Area. Mayco Painting LLC is your one stop, hassle free solution, we take pride in delivering quality work and going above and beyond to ensure each customer is 100% satisfied. 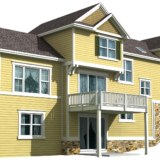 It is our commitment to provide the best quality to every painting project we complete. We Offer a variety of painting services to cater to all your aesthetic and functional needs. Mayco Painting LLC has many years of experience with residential painting in Beaverton, OR, in which we have consistently exceeded our customers’ expectations. We also specialize in commercial painting and multi-family homes if your business or apartment complex is in need of a makeover. Do you need an entirely new look? It is amazing what a fresh, professional paint job can do for your home or business. If you’re looking for a professional house painting company in Beaverton, OR then give us a call today! You can view some of our first-rate house painting, exterior and beaverton interior painting services in our Photo Gallery, or read Testimonials from our family of customers. Search for us on Google! At Mayco Painting LLC we offer wide range of paint services to meet each customer’s budget needs. it is important to choose a high professional painting contractor to beautify and protect your home. Give Mayco Painting a call today to schedule an estimate with the the finest beaverton painting contractors. Portland Oregon Interior Painters, Beaverton Interior Painters, Tigard Interior Painters, Lake Oswego Interior Painters, Hillsboro Interior Painters, Sherwood Interior Painters, Tualatin Interior Painters. HIRE A PRO GET THE JOB DONE RIGHT! We are extremely proud of the painting work we do for our customers. There is nothing that makes us feel better about our painting work than when our customers leave us a great review. Building confidence in the community – that’s important to us. Mayco Painting did an awesome job painting our home. From estimating to completion, they were fast, organized, and thorough. If you need a great painting company, these are your guys. We are very happy with the work that Mayco Painting did for us. They were very thorough and detail oriented and made sure that all the holes were filled roughs spots sanded down and then primed. All trim lines were straight and clean. The house looks great and we're glad to have hire Mayco for the job. We'd definitely recommend these guys for any paint project you may have. I can't say enough great things about Mayco Painting! Beautiful work, extremely thorough and totally dependable. 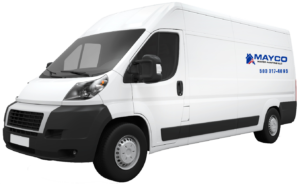 The owner Ignacio follows up in a timely fashion, arrives on time for his appointments and gets the job done on time and on budget! As a realtor, all of these attributes are essential for me especially when I give Mayco Painting referrals. Give them a call...you won't be disappointed! Ignacio and his crew were prompt, hard working and very detail oriented. They got the exterior of our one story 3br ranch done in just over 3 days! 2/3 of that work was prepping the house even before painting- they are thorough! Everyone that worked on our house was very respectful and they were the best quote we got in town, with no surprise charges at the end. We couldn't be happier with the service Mayco provided us with, highly recommend. We had our exterior house painted. Couldn't be more pleased with the results. The team was very polite , hard working, and cleaned up afterwards. We are very pleased with the professional work done by Mayco Painting. The painting exterior of our house now looks beautiful. We highly recommend this company. Great service! I just had the exterior of my house painted. They did a great job and at a very reasonable price. Afterwards they left everything clean. I highly recommend them. Great work done by Mayco Painting. They were very professional and communication was great. We are very pleased with the exterior paint job of our home and highly recommend them! This is a great and professional company. Safety is first and they are so fast at finishing the job I could not believe it. I had to tell everyone I know. 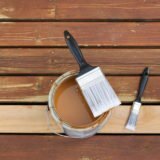 Do you Need a Professional Painting Contractor? For Quality Painting Services in Beaverton, OR, Trust Mayco Painting to get the job done right, at a price that fits your budget! Why Choose Mayco Painting LLC For Your Painting Project? 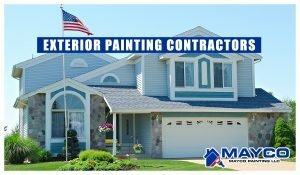 When you choose Mayco Painting LLC to be hired for your painting project you won’t be getting just another painter, you’re partnering with a team of dedicated professionals who’s goal is to make your space more beautiful than we found it, with minimal fuss, minimal hassles and a fair price. We have built a strong reputation based on our quality of work and our customer service. Our reviews and testimonials prove this. When you hire Mayco Painting LLC for your residential and commercial painting project, we will not leave until you are satisfied. Each job and each client is important to us from the preparation to the conclusion of your service. If you are looking for painting contractor in Beaverton, OR then give us a call for a free painting estimate. Experience the Mayco Painting LLC difference today! Choose Mayco Painting LLC!